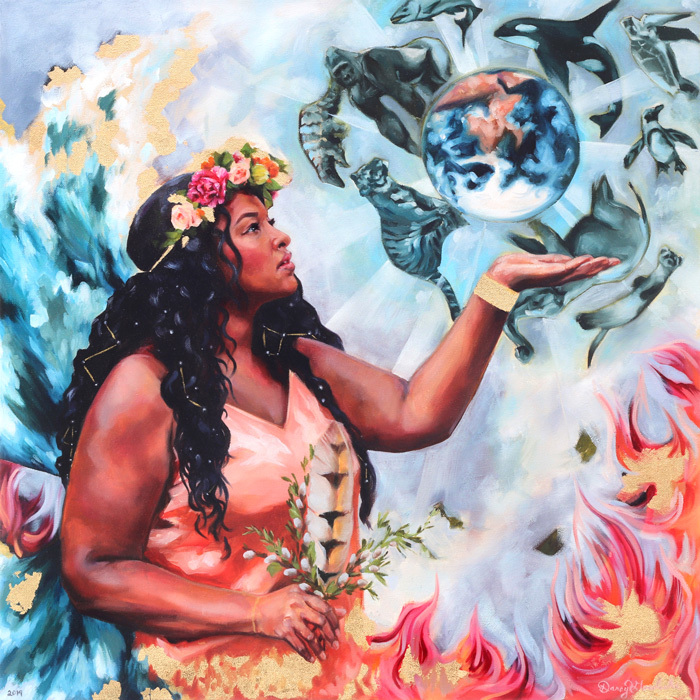 Preorder your print of my Artswalk cover piece — Mother Earth! Prints will be available for pickup or delivery April 26 & 27th during Artswalk! The Mother Earth Goddess holds the world as it’s surrounded by endangered species. Her wings are made of water and she is transforming into fire. This is the cover piece for the Spring 2019 Artswalk cover in Olympia, WA. Pre-order your print for pick-up during the event! Prints will also be available at Childhood’s End Gallery during the event, which is where the original painting will be on display April 26 & 27th. Come see the cover piece in person and get your archival, signed print!